University of Aberdeen and Robert Gordon University boat teams are set to battle it out in the annual River Dee showdown. An exhibition offering a unique perspective on the landscape of Scotland is to open in Aberdeen. A University of Aberdeen scientist has been honoured for her contributions to life sciences. Carbon capture and storage (CCS) researchers from the University of Aberdeen have joined Scottish Carbon Capture & Storage (SCCS). World rankings published today place the University of Aberdeen among the world's elite universities for the quality of courses it provides. School children from Aberdeen and Angus have been getting hands-on with archaeology through an initiative sponsored by the University of Aberdeen's Confucius Institute. The links between science, medicine and the humanities will be put under the spotlight this week at an event organised by the Aberdeen Humanities Fund. University of Aberdeen student sport stars are celebrating after tasting success in a number of events over the past weekend. Scottish farmers are being asked their views on the formation of their own tailor-made credit union. Some of the country's brightest engineers will showcase their postgraduate findings as part of the annual University of Aberdeen Engineering Research Symposium. 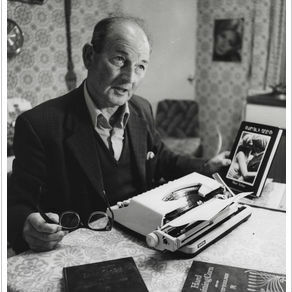 Budding writers are invited to put pen to paper and enter the Elphinstone Institute's annual short story competition, the Toulmin Prize 2014. The University of Aberdeen will host a new course for nutritionists and dieticians to develop their skills, later this year. The award winning IT data centre for all further and higher education institutions in north-east Scotland has won yet another UK-wide accolade. The impact of common male cancers will be discussed next week (Feb 24) at the first in a new season of Café MED public talks. The University of Aberdeen has been named as a finalist in national awards that recognise success in commercialising scientific research. Hydraulic fracturing and the environmental impacts associated with it will be explored as part of the Cafe Scientifique series tonight. One of the UK's most respected legal figures will give a lecture in Aberdeen on behalf of a student lawyer organisation which assists people in need of legal advice. With food waste on the increase and councils cracking down on composting is it fair to say the supermarkets are the villains behind the food waste epidemic on our hands? Over 100 students, staff and employers attended the inaugural Aim Higher Conference this week (Wednesday 12 February). Scientists in China and Aberdeen have made a key discovery which could explain why some people are 'couch potatoes'. A public lecture series delivered for more than a century by internationally renowned scholars will once again return to Aberdeen in February. The new partnership between the University of Aberdeen and banking giant Santander is offering current students and recent graduates the chance to develop and take a business idea to market. A new online resource will bring to life the stories of thousands of University of Aberdeen staff and students who served in the First World War. The team hoping to wrestle back the 'kings of the river' title for the University of Aberdeen was unveiled today as the final crews for the 19th Aberdeen Asset Management Universities' Boat Race were announced. More needs to be done to investigate the short and long-term impact of the Oil and Gas (O&G) industry on EU fisheries, according to a recent report conducted by academics at the University of Aberdeen. Finland's Ambassador to the UK, His Excellency Pekka Huhtaniemi, met Finnish students enjoying their studies in Aberdeen, together with researchers working on projects focused on the circumpolar North. Medical developments in treatments to tackle obesity will be the subject of a public lecture in Aberdeen on Wednesday (February 12). Dons' fans who shed a combined 27 stone on a pioneering healthy living initiative will tonight (February 6) hear of the scheme's success at a meeting at Pittodrie. Scientists have discovered a link between a largely unstudied gene and schizophrenia. Internationally recognised fungal expertise at the University of Aberdeen has been further acknowledged with two key research awards worth almost £5million. New equipment which could help give women having IVF a better chance of having a baby is a step closer for the Aberdeen Fertility Centre - thanks to the generosity of a North-east couple. The winners of a competition challenging school pupils to draw a germ or microbe attended an awards ceremony last Thursday (January 30). The Chief Executive of the African Forum Scotland and colleagues visited the University on Friday 31 January to hear about projects and partnerships in Sub-Saharan Africa.